We will not turn down any quote request, no matter the quantity, no matter the complicated construction applications. We are more than happy to accommodate you custom needs. If you can dream it, chances are, we can make it. Do you have a problem that demands a unique solution? 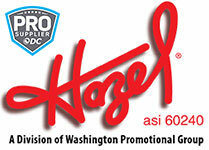 Washington Promotional Group is one of the most diverse manufacturing companies in the industry. We can make your item from wood, stone, leather, vinyl, lucite, paper or magnetic materials. Call us for your next project, or fill out the quote form below. There are never any minimums on any of our quotes. From one item to five million, we are here to help.